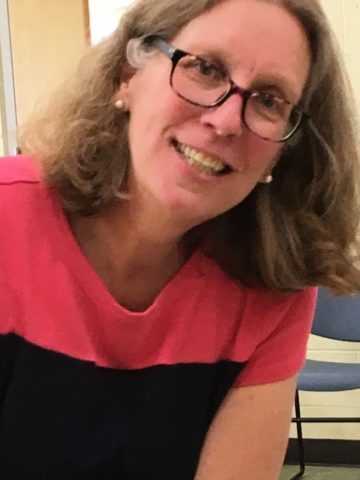 Margaret “Lynn” Worrall Yuchnitz departed this earth to rejoin her high school sweetheart, her “sunshine”, Anthony C. Yuchnitz on January 17, 2018, at the age of 58. Forever cherished and missed by their children, Jennifer Garner (Josh), Brittany Sullivan (Luke) and Megan Yuchnitz; “Grammy” to Gwyneth and Benjamin Garner, Anne Marie Sullivan. Further survived by four-legged children, Sadie and Sushi. Lynn will be sorrowfully missed by a host of extended family and friends. Preceded in death by her mother (Anne C. Worrall), father (Robert Worrall), and sister (Julie Riley). Lynn was born on July 19, 1959 in Nashville, TN. She was a graduate of Nashville Christian School (’77) and Belmont University (’81). She will be remembered fondly by many as a doting wife, mother, grandmother and caregiver and by her best of friends Joyce Peterson. Visitation will be held on January 28, 2018, at Western Hills Church of Christ (7565 Charlotte Pike. Nashville, TN) from 1:00-3:00 with a memorial service to follow at 3:00 pm. In lieu of flowers please send donations in Lynn’s name to The American Cancer Society or Alive Hospice of Nashville. Praying for the family. I worked with Lynn’s mother at Cockrill Elementary. Theresa (Holt) Garrett . We sure had a lot of laughs and fun while we were students. Much love . Heartfelt sympathies to the family and friends during this difficult time. During such grievous times as these, words may be of little comfort. Our Heavenly Father Jehovah who created us, has the ability and desire to undo the effects of death. At Hosea 13,14,He promises to empty the graves of our loved ones. Our tears of pain will turn to tears of joy! My hope is that God will strengthen you and give you a measure of comfort and peace until His promise is realized. I sorry for your loss.